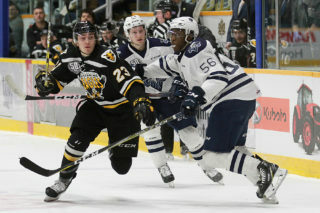 For the first time since 2017 second round QMJHL playoff action comes to Centre 200, and the Screaming Eagles come home with momentum following a 2-1 win on Sunday over the Rimouski Océanic. The next three games of the series will be played at Centre 200, beginning with tonight’s game 3. 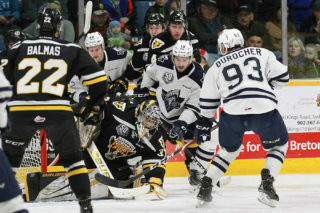 Rimouski opened the series with a 3-1 win on Friday night, in the Océanic’s first second round outing since 2015. The Eagles countered with a 2-1 victory on Sunday afternoon for their first second round victory since 2016. Unsurprisingly given the low scores, the goaltenders have shone. 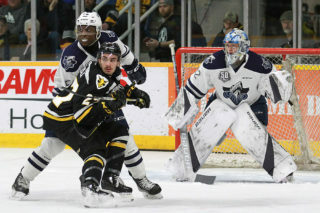 Both Cape Breton’s Kevin Mandolese and Rimouski’s Colten Ellis were among the three stars in Sunday’s game (first and third respectively) and both were exceptional in the first round as well- each goaltender has had just one game with a save percentage below 900 (through eight games for Mandolese and six games for Ellis). Despite a very physical style of play, there has been very little in the way of special teams in this series. In total there have been just nine power plays through two games, with a third period goal by Mitchell Balmas in game two (which stood up as the winner) being the lone power play marker thus far. Balmas led the Eagles in points in both the regular season and thus far in the playoffs as well. 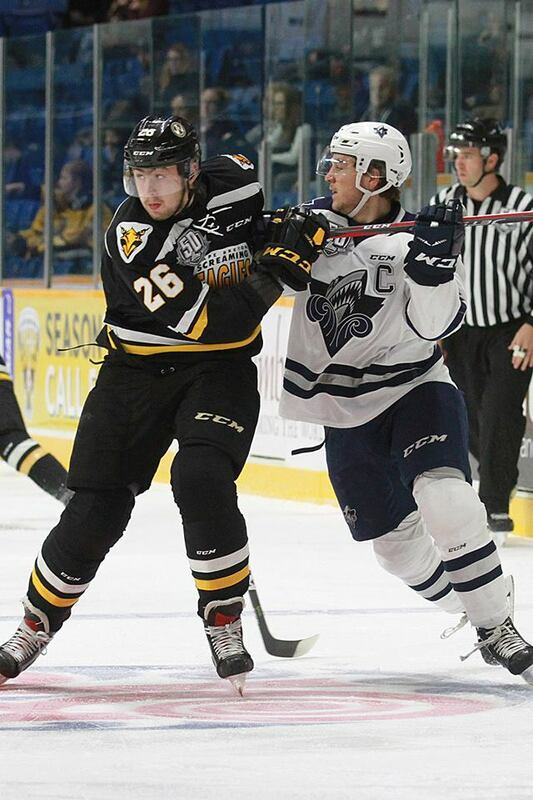 Alexis Lafrenière has done the same for Rimouski, and is the only player to score in both games for either side. The Océanic will hope for more production past their top line, which has scored all four goals- with an asterisk. Dmitry Zavgorodniy replaced Olivier Garneau on the top line with Lafrenière and Jimmy Huntington prior to Rimouski’s lone goal Sunday. The Eagles will hope for a successful return of Mathias Laferrière, who left Sunday’s game with a lower body injury. These two teams only met at Centre 200 once this season, in October when the Eagles won 4-3 in overtime. 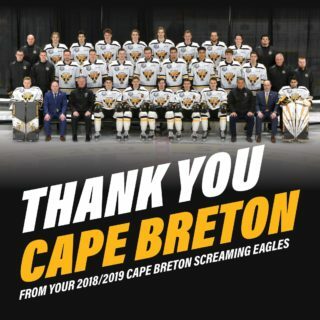 This season the Eagles were 20-10-4 at home, and won all three games in round one in Sydney against Charlottetown. Rimouski was 22-9-3 on the road this season, and won both games in Chicoutimi during a first round sweep.